In conjunction with the Independence Day celebration on Aug. 31, 2018, Union Works Asia Sdn. Bhd. is announcing “Sayangi Malaysiaku Countdown Concert 2018,” a countdown concert on Aug. 30 (Thursday), from 9pm onwards at Dataran Merdeka, Kuala Lumpur. 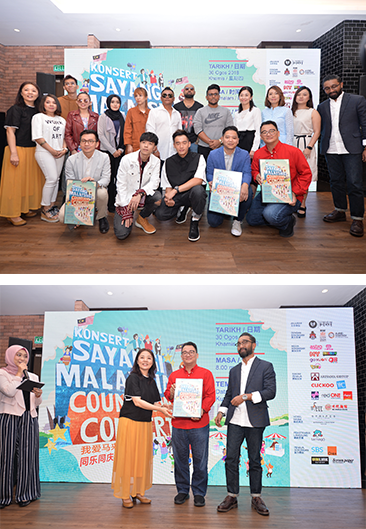 There will be close to 23 unit of Malaysian artistes which includes Datuk Zainalabidin, Ella, Fish Leong, ZChen, Nicholas Teo, Alvin Chong, Resh, Rabbit Mac, Sheezay, Min Chen, Fuying & Sam, Bell YuTian, Joyce Chu, TJ, Sakura band, Gin Lee, Nicole Lai, Geraldine Gan, Farisha Irish, Hani and Zue, and others, also included our most talented Hands Percussion group with cultural characteristics and innovation. The performers are from different races but will come as one to celebrate the 61st birthday of our country with their performances. 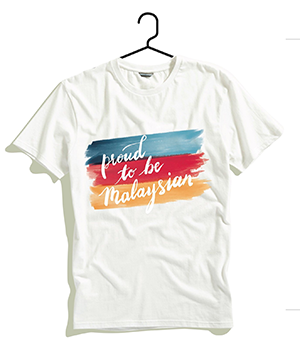 This will showcase an epitome of what makes us proud to be Malaysians. Estimated audience will be over 10,000. For more concert information, please log onto facebook/IG page: Sayangi Malaysiaku 2018. The Sayangi Malaysiaku Countdown Concert 2018 celebrates a meaning of living in unity, variety and harmony just like when we first gain independence. This is the very first attempt in the Malaysian history for a group from local music industry to organize a free-admission countdown concert at the remarkable venue in Dataran Merdeka. It is a tough challenge for delivering a major concert within a short period. However, it certainly will not be possible without the supportive partners such as ASPC, Akisama Group, Cuckoo, YYC, redONE, Elken, Super Coffee, Bsfit, Go Noodle House, SBS Printing, Oren Spot and Hotel Stripes Kuala Lumpur with their sponsorships. In addition, the supporting media such as ASTRO, 8TV, 988, One FM, MY, MELODY, GOXUAN and all local print medias play another significant role to the success of the countdown concert. Funding sponsorship is still needed assist in the completion of the concert. Any inquiries or interested becoming a partner, please email to sayangimy2018@gmail.com for more information. 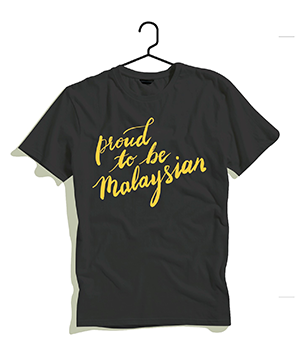 To make the concert-going experience more memorable, the organizer is releasing two specially-designed T-shirts with the theme of “Proud to be Malaysian,” limited to only 3000 pieces each design (black & white) for online purchase started from July 31 onward. Audience who wish to wear the same meaningful T-shirts to the concert could log onto the online platform - Shopee, search for “Sayangimy2018.” Please contact 018-2168951 for purchase inquiries.